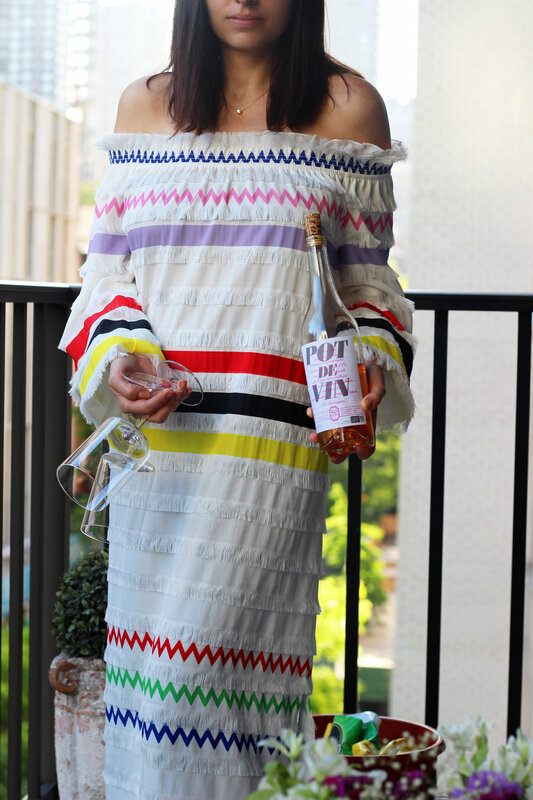 Wine Review | 2016 Chateau Guilhem, Pot De Vin Rosé — WINEFARER INC.
Its color is reminiscent of pink sand beaches in places like Horseshoe Bay Beach, Bermuda or Pink Sands Beach in Harbour Island, Bahamas. Its taste is refreshingly light with a blend of fresh raspberries and strawberries. Its finish will transport you to a dusk summer beach bbq with visions of white linens, long flowy dresses and pops of blush bouquets. Enter in the 2016 Chateau Guilhem, Pot De Vin Rosé, a 100% Syrah, organically grown at the crossroads of the Atlantic and Mediterranean, the Malapère Region, Languedoc, France. Ok… clearly, I need to get out of the house. All daydreaming aside. This rosé has a nice “glide” to it. It rolls off the tongue effortlessly from one flavor to the next and has nice acidity throughout, not too overpowering like a sour lemon – more like a red sour patch kid – sour at first but subtly sweet to close. Perfect to pair with pizza, light fare or served as an aperitif. Adding its importer to my list of favorites - The Triton Collection! Why is this important? See here!